No, my dear reader, your eyes are not deceiving you. 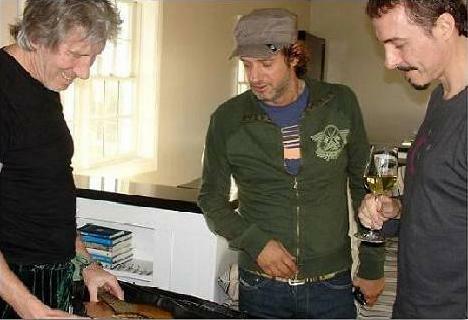 According to the Argentinian edition of Rolling Stone magazine, musical genius Gustavo Cerati recently recorded a song with Pink Floyd‘s former bassist (and also musical genius) Roger Waters for the non-profit Fundación Alas. Read the original articles here and here, and express yor feeling in the comments. Thanks to Xavier “el viejo” Gonzalez for the news. Ya sabía de la noticia, ¡pero no habia visto la foto!… estoy emocionada.